The AVA De-Esser is the latest implementation of Harrison’s renowned De-Esser algorithm, used in ultra high-end post & film facilities worldwide. 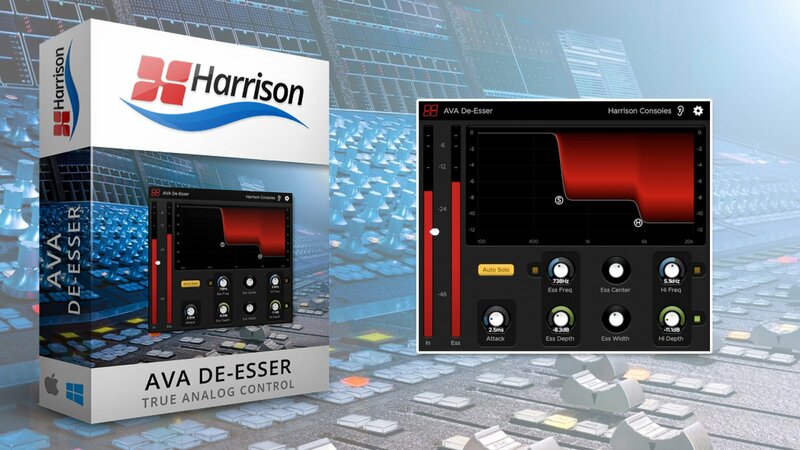 Now in the fourth generation, the Harrison De-Esser algorithm has been continuously tweaked by their customers in high-end studios around the world. Harrison’s reputation for "True Analog In-The-Box" sound is due to a unique development heritage, where they first created an analog console processor and then converted the processor to digital while retaining the sound and character of the original analog system. The AVA De-Esser implements Harrison’s 4th-generation de-esser algorithm that is tuned to detect and eliminate harsh sibilance in real-time. Intelligent algorithm operates on harsh sibilance while ignoring other fricatives. Band Solos and Auto Solo feature helps the user dial-in the sibilant frequency range. Capable of up to 12dB reduction in sibilance. Adjustable threshold & depth allow fine control over the processor’s onset and strength. Fast and easy to use interface with 6 control dimensions accessible in the main graph. Zero latency processing, suitable for live use.